Super new neighbors coming to enjoy life here in Caloosa! Congratulations on the sale Mark, I hope the new owners enjoy their new home! Mark - looks like a great property, congrats! wahoo! 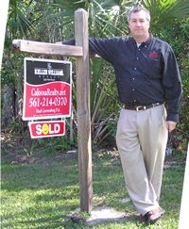 more happy Caloosa buyers joining our world out here among 5 acre properties! Hi Mark. Congrats on another great sale. This time at 14764 Black Bear Road in Palm Beach Gardens, FL. Post © 2019 Mark Loewenberg, KW 561-214-0370 (KW of the Palm Beaches). Design © 2019 ActiveRain, Inc. All rights reserved, Inc.